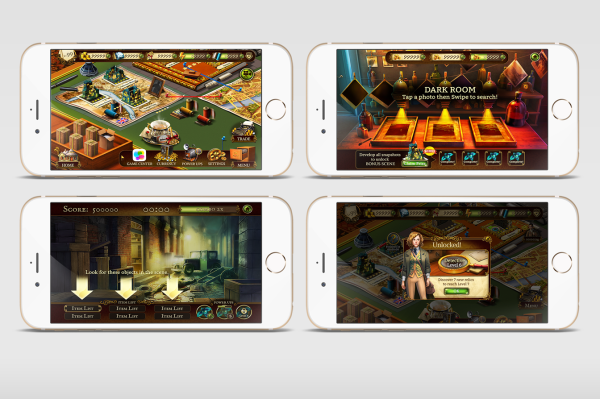 Hidden Agendas is a story-driven hidden objects game that follows the main characters on a globe-trotting adventure to solve mysteries. My role: Set up UI style, concept exploration, animation, outsource coordination, asset management. I was the sole UI in the team, responsible for setting up UI style, creating all UI mocks, some of the UI animations, as well as providing feedback to outsource vendors for UI-related work. 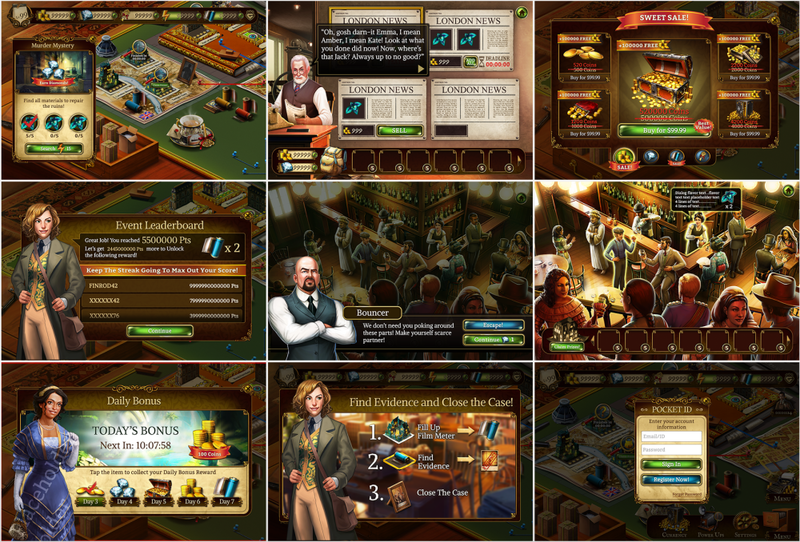 I've also worked on prototyping the UX flow for solving mystery as well as small in-game UI effects.